Looking for a new anime or three to watch this autumn? Provided you can bear bringing back memories from your own school days without breaking a cold sweat, why not check out some of the many shows themed on bukatsu (Japanese school clubs)? 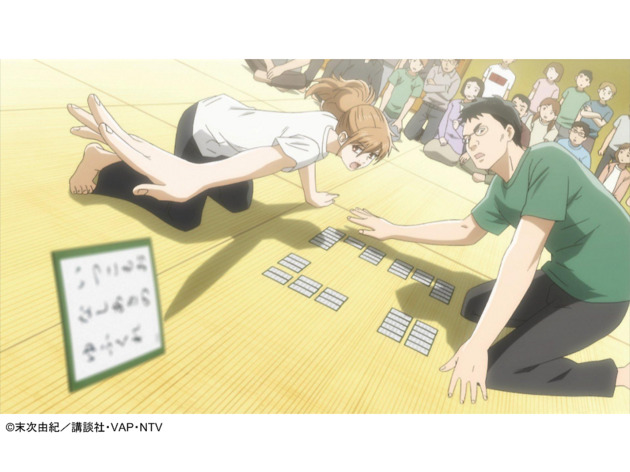 In addition to all-time favourites depicting clubs like choir and table tennis, you'll find plenty of series highlighting more unusual hobbies, including traditional yosakoi dancing and karuta playing cards. Not sure where to start? Check out our top 10 list of bukatsu anime below. High school student Chihaya Ayase joins the Karuta club with the aim of rising to the top of the game and becoming the Karuta Queen, while also looking to reunite with her former best friend, Arata Wataya. Karuta are Japanese playing cards decorated with poems by 100 poets from the 13th century, and the game associated with them is usually played one on one. You win each round by finding the card required in each situation before your opponent does. Though categorised as a girls' comic and attracting many female readers, Chihayafuru is also very popular among boys. Karuta clubs are a new phenomenon in Japan, where a national karuta competition takes place every year. The comics first came out in 2007 and the anime version launched in 2011, leading to a threefold rise in karuta competitors across Japan. A live-action film based on the series was released this year, attesting to the popularity of a series that makes for a great example of friends with a common interest coming together to set up a club. A novel series from 2013 by Ayano Takeda, this one tells the story of Kumiko Oumae, who has played in a wind orchestra since elementary school and enters the wind orchestra music club in high school. The club is unmotivated and lacking in skills at first, but the addition of a new adviser sees the students turn a page and start aiming for the national tournament. 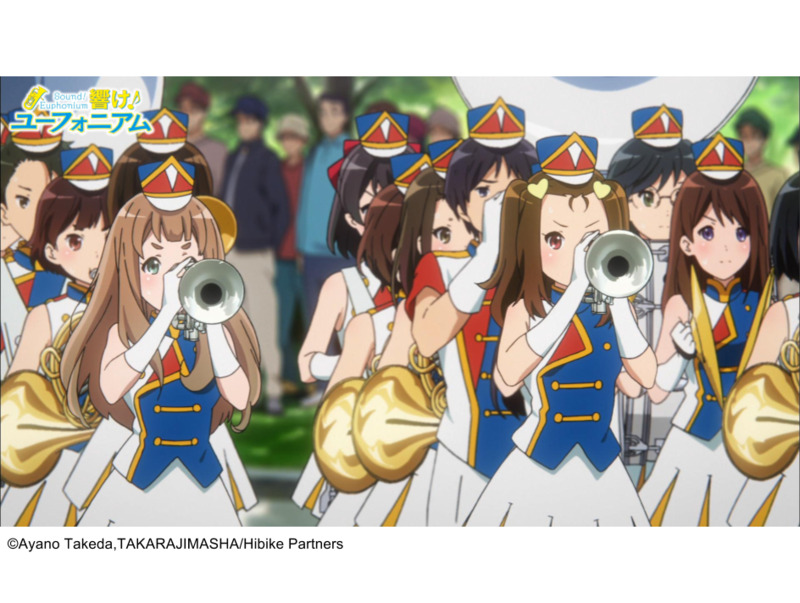 The story revolves around four students, with protagonist Kumiko being in charge of the euphonium, a heavy brass instrument. Her classmate Hazuki Kato is a beginner on the tuba, Sapphire Kawashima plays the contrabass, and natural talent Reina Kousaka takes care of the trumpet. 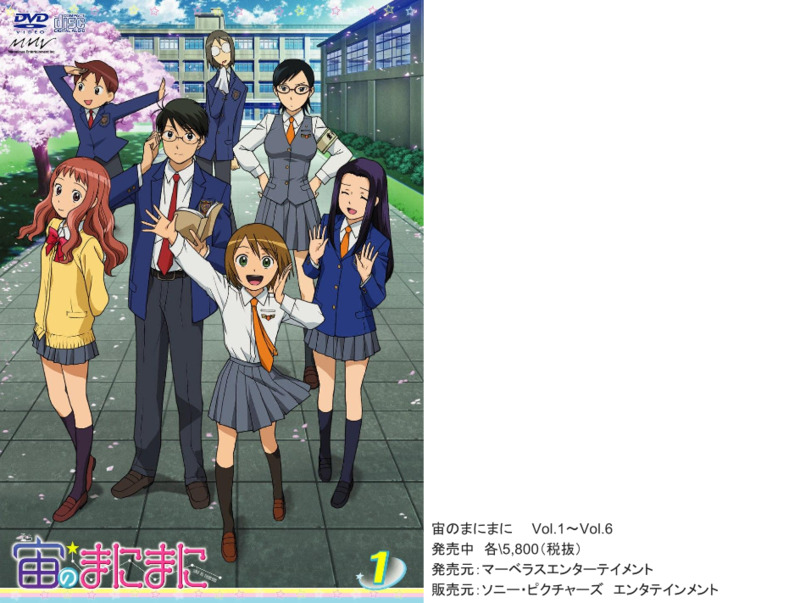 The second season of the anime is being aired from October. Saku Oyagi comes back to his hometown after seven years away. He is a high schooler who likes to stay inside reading books at school. On his first day, he reunites with childhood friend Akeno Mihoshi. Depicting how the astronomy club evolves over time, the series boasts near-professional illustrations of zodiac signs – thanks to a collaboration with Japan's Astronomy Journal. In the opening and ending credits, the staff and cast have stars next to their names. The comic series ran from 2005 to 2011 and the anime aired in 2009. This serialised manga launched in 2011 and became a TV anime in 2014. Naru Sekiya has always dreamed of being a heroine, but never had the courage. One day, she meets Hana N Fountainstand from Princeton, a passionate fan of Japanese culture. Hana invites Naru to join the Yosakoi dancing club. This manga illustrates the deep bond that the members of the club Naru, Hana, Yaya, Tami and Machi create. Yosakoi is a type of dance that started in Kochi prefecture and involves dancing to folk songs while holding wooden clappers called naruko, which have been around since before the Edo period. The first modern Yosakoi festival was held in Kochi in 1954 and was brought to Hokkaido in 1992, eventually gaining nationwide popularity. Japanese school clubs hardly get any more curious than this. 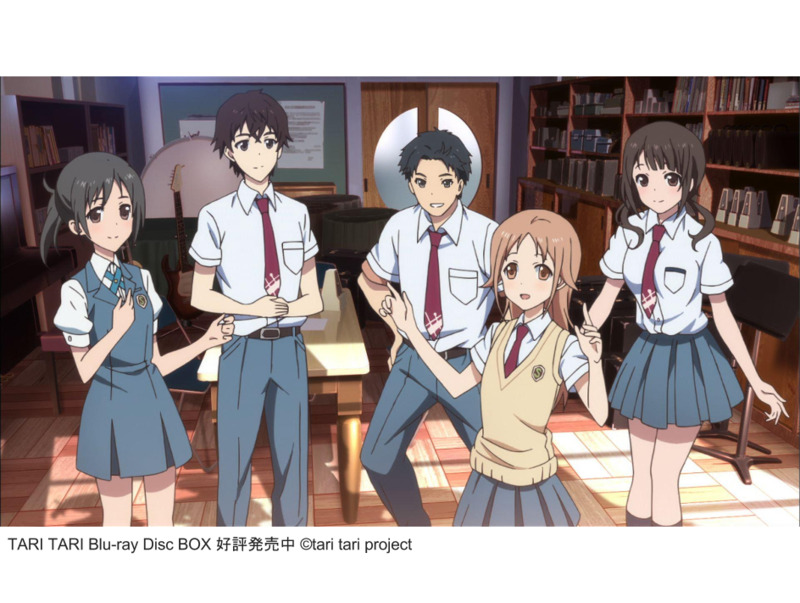 An original anime series that started in 2012, Tari Tari follows Konatsu Miyamoto in her senior year of high school, She's a page-turner for the piano player in the choir club – a role she took on after embarrassing herself in front of a crowd at a recital, leading to a loss of confidence. Still willing to pursue her love for singing, she later creates her own choir and recruits her best friend Sawa Okita from the archery club, Wakana Sakai who just transferred from the school's music department, and her friends from the badminton club Taichi Tanaka and Wien to embark on a new journey together. Shiro Hamaguchi, the music composer of the series, has also worked on other popular anime series like One Piece, Girls und Panzer and Hanasaku Iroha (Blossoms for Tomorrow), and arranged music for Final Fantasy. This comic series was introduced in Weekly Shonen Jump in 2012, an anime was launched two years later and in 2015 it became a full-length movie. In fact, Haikyu – a title that comes from the old Japanese word for volleyball – has become so popular that it’s even being performed as a play this October. After spending three years building his own team, middle schooler Shoya Hinata experiences a crushing defeat at his first tournament facing a championship favourite team. He seeks revenge on his opponent Tobio Kageyama, setter of the championship team, soon to realise that Tobio attends the high school that he just entered. Despite their differences, they find a way to get along and bring their mutual team to victory. The author played volleyball himself in middle school and high school and was determined to write a volleyball-centred comic ever since. Men’s volleyball wasn’t as popular in Japan before this series got its big break in 2012. Peko and Smile are freshmen in high school and have been friends since childhood. They’ve played table tennis since they were young, but Peko got engulfed in his own pride of being the best player and would only face weaker opponents. A shock loss to his childhood friend Akuma at the prefectural tournament forever changes his views on table tennis. The series is drawn in a unique way, and is very unlike the usual anime illustrations you'd come across. One of the main characters is an exchange student from China, dubbed by a Chinese voice actor. This series was first serialised in 1996, so it's hitting its 20th anniversary this year. A more recent spin-off of Ping Pong saw artist Taiyo Matsumoto collaborate with the Louvre to create a separate manga series, which was made into a live-action movie in 2002 and an anime in 2014. Baseball is Japan's most popular sport, and the national high school tournaments every spring and summer see much of the nation glued to TV screens for weeks. Eijun Sawamura used to be in a weak baseball team back in middle school, but luckily got to move to a high school with a very competitive team. 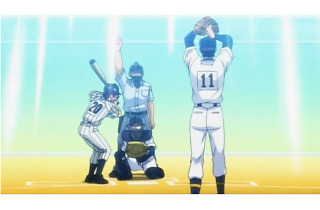 Yuji Terajima's Ace of Diamond illustrates his journey and how he overcomes obstacles on the way to becoming an ace pitcher. Not only will you know about the main character, but will also learn to know his teammates and rivals. The author is so precise on details and the nitty-gritty of the sport that this one's sure to get baseball fans hooked. Even LA Dodgers pitcher Kenta Maeda is reportedly a fan. The title was originally launched in Shonen Magazine in 2006 and became an anime series in 2013. This manga series has been running since 2008, and has now also expanded into the worlds of anime and movies. The third season of the TV series will be airing next year. High school student Sakamichi Onoda is an otaku with a passion for anime and manga. He loves it so much that he bikes to Akihabara, mecca of anime and manga fandom, located over 45km from his home. His classmates Shunsuke Imaizumi and Shokichi Naruko, who are part of a competitive cycling club, recognise his talent and ask him to join them. The author originally liked cycling himself, and has written an inspiring story that even professional cyclists like to read. High school students Haruka Nanase, Makoto Tachibana and Nagisa Hazuki are childhood friends. Upon hearing that the swimming club they used to go to will shut down, the trio decide to revisit and soon reunite with Rin Matsuoka, another former club member. 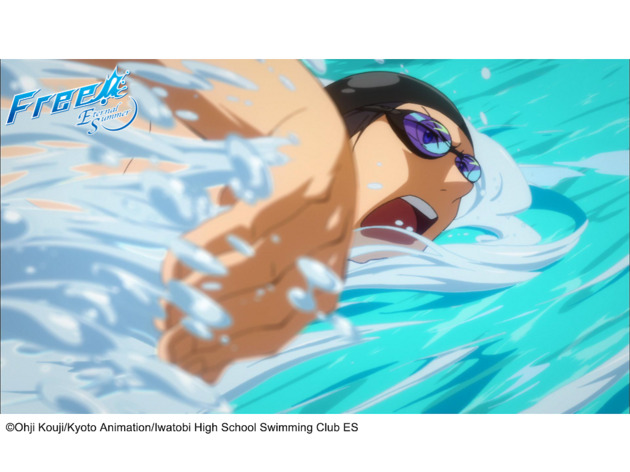 They’re reminded of the passion they used to have for swimming, and decide to start training for a tournament together with new recruit Rei Ryugazaki. The first season focuses on the theme ‘What they are swimming for’, and the second season highlights the students' uncertainty about the future. The series is particularly popular among female readers, and a movie version was launched in 2015. Make sure to pay attention to the small details, such as the intricately animated water scenes.